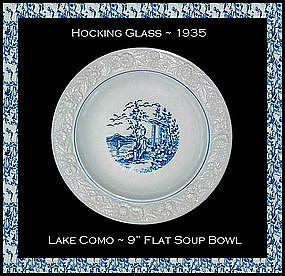 This Lake Como flat soup bowl was made by The Hocking Glass Co. in the 1930's. It is in "like new" condition. No wear on the pattern....no scratches either!